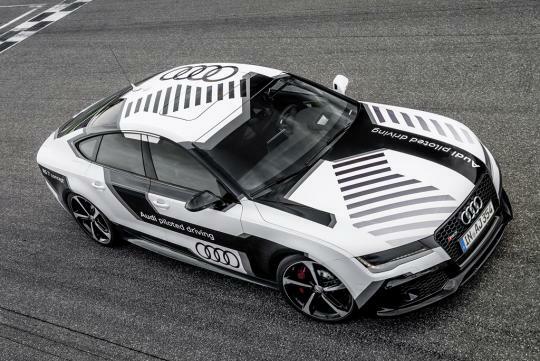 Audi has released additional details surrounding its autonomous RS 7 concept, which will be pushed to its limits later this week at the Hockenheim racetrack. 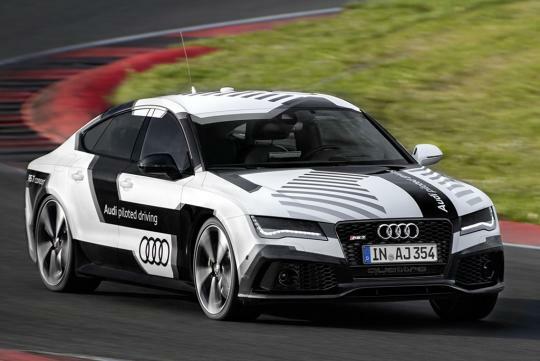 The company suggests the "piloted driving" concept car is essentially a stock RS 7, but with automated controls that replace driver input for the electromechanical power steering, brakes, throttle valve and eight-speed transmission. Precision location data is is a critical element in pushing the car to its limits on the track. Standalone GPS systems lack the required accuracy and consistency, but the RS 7 will receive signals from ground-based stations to help correct the location data and determine exact position down to a centimeter. 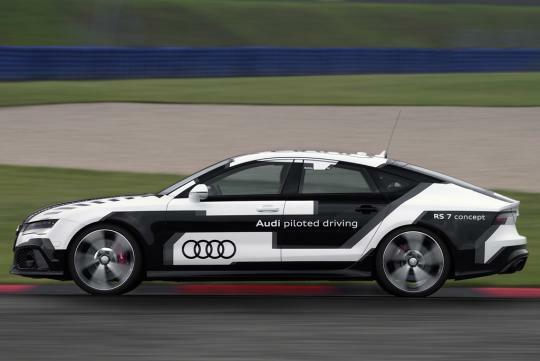 For redundancy, the RS 7 is also outfitted with 3D cameras that monitor the surroundings in real-time. Images are compared against a database of graphical information, tracking reference points such as buildings behind the track. 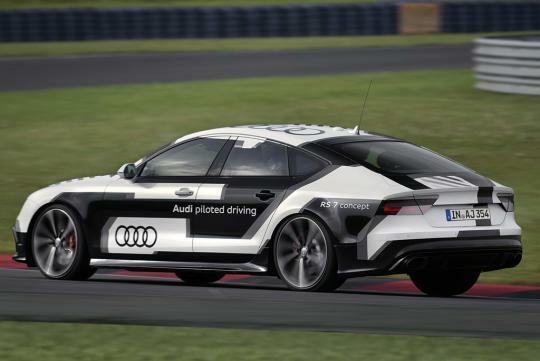 Engineers put the technology platform through thousands of test kilometers to find the RS 7's handling limits for the demonstration run. 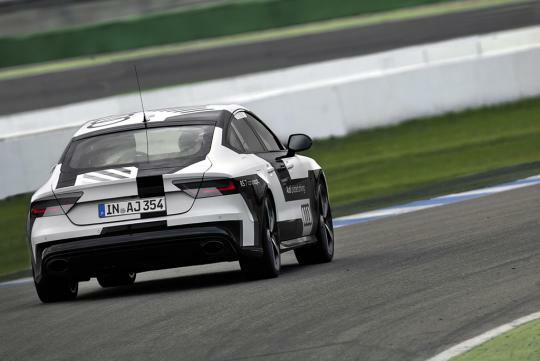 The car is expected to achieve lateral acceleration loads of up to 1.1 g and top speeds above 149 mph during the Hockenheim demo, with an anticipated lap time of two minutes and 10 seconds. 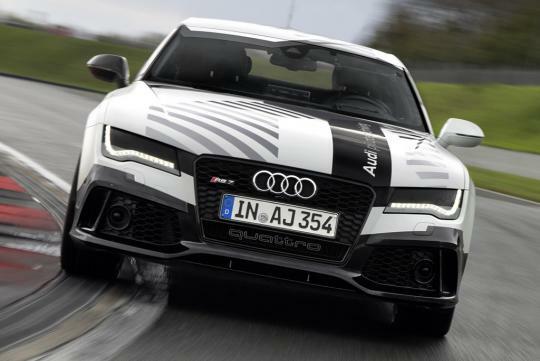 "To demonstrate its capabilities, the Audi RS 7 piloted driving concept car will drive a clean racing line at the Hockenheimring - with full throttle on the straights, full braking before the corners, precise turn-in and perfectly metered acceleration when exiting the corners," Audi said in a statement. 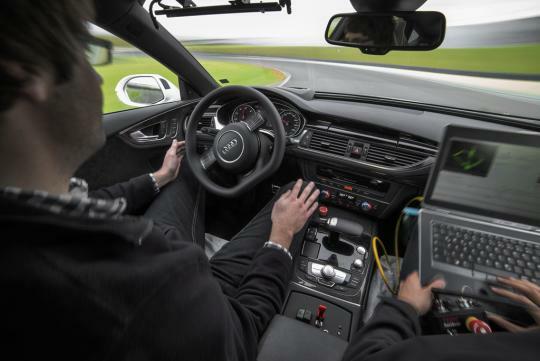 The company suggests the demo is not simply a marketing gimmick, as the track serves as "the most demanding test bed" for autonomous driving features. Engineers can use a similar approach to refine safety tech, such as automatic avoidance functions, that will make its way to production vehicles. The whole point of an RS model is sheer driving fun. 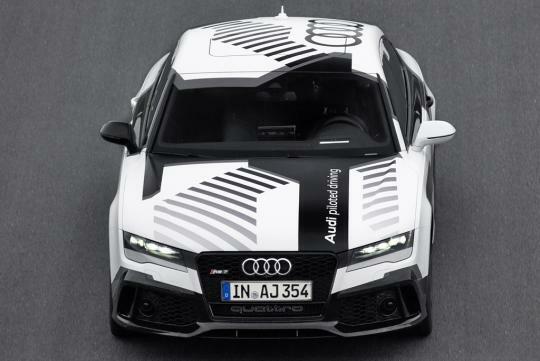 Why make it autonomous? Ze Germans haz nothin' better to doz?